Cold weather can present some of the most challenging driving conditions and when winter arrives it’s important to know your vehicle(s) is more than capable of dealing with extreme weather. Top up washer fluid regularly and give yourself extra time to de-mist your vehicle’s windows and wing mirrors; a rushed job could leave smears on your windscreen, making vision difficult in the low evening sun. Clean headlamps daily to ensure you can see and be seen. Salt and dirt can quickly build up, reducing visibility at night and in poor weather conditions. Wipe off excess dirt from your registration plate to make sure your vehicle is easily identifiable. Cold and damp weather is a car battery’s enemy. If you have the correct equipment you can test a vehicle battery yourself, but it’s easier and recommended that you seek advice from a specialist. After tyres, batteries represent 16% of the AA’s typical breakdown workload. It’s important to regularly check the tread depth and pressure of your tyres, which can improve braking and control in winter conditions. The legal tread depth limit is 1.6mm. 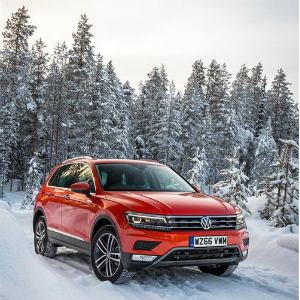 For frequent winter drivers winter tyres offer extra grip when temperatures drop below seven-degrees and on snow and ice. Ensure your anti-freeze is topped up regularly. Making sure you have the correct concentration is critical for the health of your engine. It is recommended to follow the vehicle manufacturer’s recommendation. The concentrate is diluted with water prior to use and to ensure adequate cooling system protection a concentration of between 40% and 50% (by volume) is recommended. Use your dipstick to check your vehicle’s oil levels weekly and top up if needed. Low oil levels could cause your engine to seize; leading to a break down.